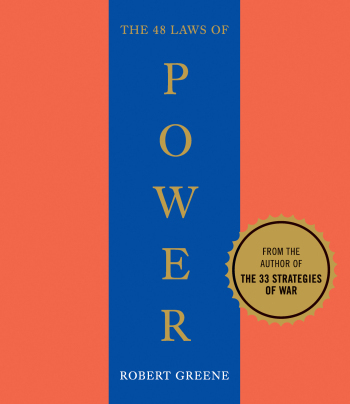 The 48 Laws of Power (1998) is the first book by American author Robert Greene. The book is a bestseller, selling over 1.2 million copies in the United States, and is popular with prison inmates and celebrities. Greene initially formulated some of the ideas in The 48 Laws of Power while working as a writer in Hollywood and concluding that today’s power elite shared similar traits with powerful figures throughout history. In 1995, Greene worked as a writer at Fabrica, an art and media school, and met a book packager named Joost Elffers. Greene pitched a book about power to Elffers and six months later, Elffers requested that Greene write a treatment. Although Greene was unhappy in his current job, he was comfortable and saw the time needed to write a proper book proposal as too risky. However, at the time Greene was rereading his favorite biography about Julius Caesar and took inspiration from Caesar’s decision to cross the Rubicon River and fight Pompey, thus inciting the Great Roman Civil War. Greene wrote the treatment, which later became The 48 Laws of Power. He would note this as the turning point of his life. Previous articleAncient Underground City Found In Russia?